Based in London, was born in 1986 and has a First Class BA in English & Media from the University of Sussex in the UK. She began her career as an artist while still at university, and soon after graduating she was offered solo shows in London and Madrid. Her work has been exhibited internationally in Europe, (Saatchi Gallery and the Houses of Parliament in London, Prins Eugens Waldermarsudde Museum in Stockholm), in the US and South America. Her work has been featured in numerous media including NY Arts, El Pais, Vogue Italia, BBC, and American Photo. She is a published author of two photography books, and has spoken extensively at fairs and conferences on the blurring of boundaries between art and reality, modern tools and classical craft, in a time she perceives as a new wave of contemporary artistry. Miss Aniela creates a fine balance of contemporary creativity. Her work centers on a fusion of traditional imagery and digitally enhanced motifs, interweaving in a surreal composition. Miss Aniela’s Surreal Fashion collection is where beauty meets absurdity and couture meets chaos, in a series of fine-art/fashion-fused photographic tapestries. She explores juxtapositions in her compositions, between nature and manmade, the female form and architecture, and painterly motifs and digital photography. She composes and elaborates scenes that blur the boundaries between fine art and fashion. 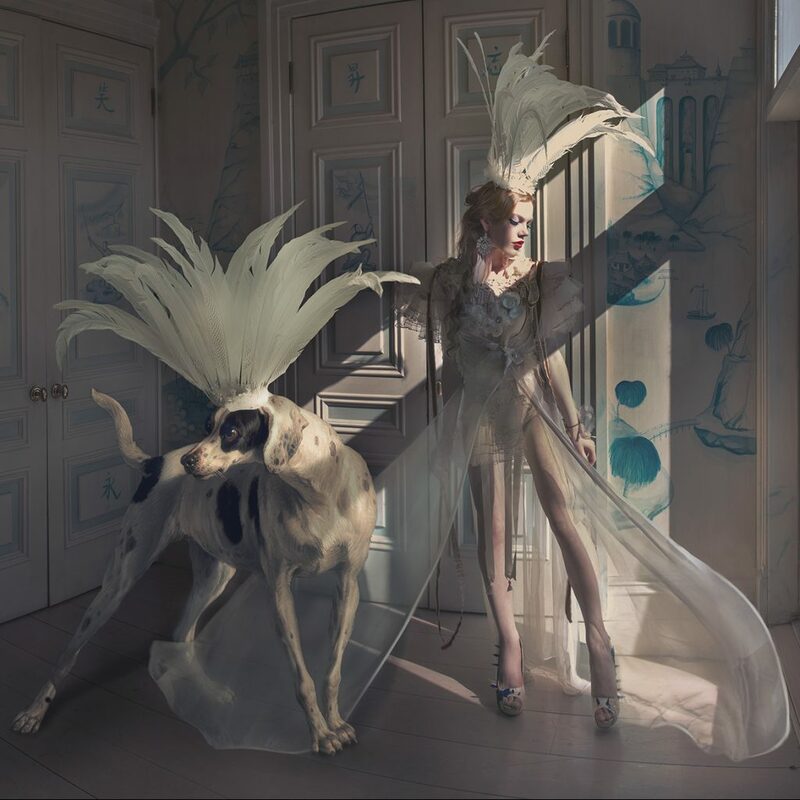 Her series ‘Surreal Fashion’ depicts contemporary models with a classical reference, inspired by Renaissance painting and Dutch masters, shot on location in stately homes across England, Europe and the US.